Deoband ke Mujadid or Hakeem Sahab ko Nabi ke Fazail ki Riwaytein Yaad Nahin. I dont understand why tablighi jamaat is making mockery of facts by claiming Thanvi a Mujadid. Please have some fear of Allah. 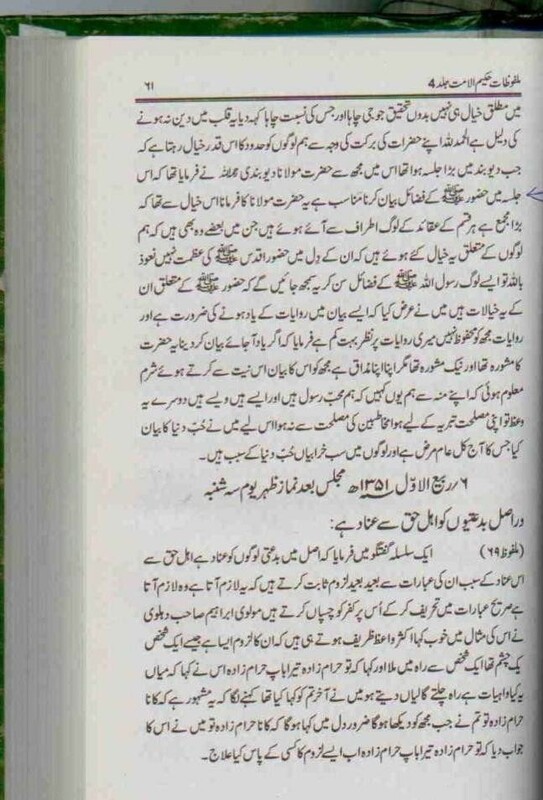 & Thanvi response that He dont remember any Hadees on Fazail e Nabi (saw) is more worst!!!! IS THIS DEOBANDI LOVE FOR NABI E KAREEM (saw) ??? ?